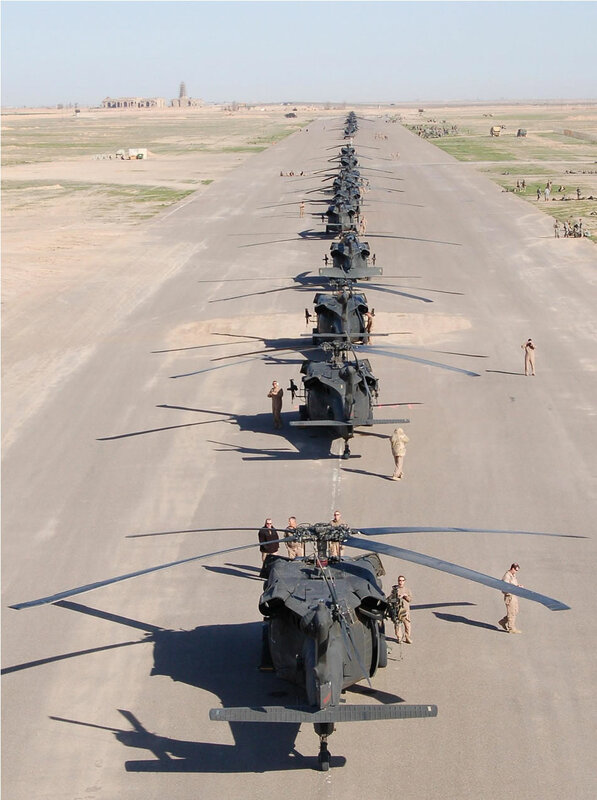 WASHINGTON, March 16, 2006 � Iraqi and coalition forces today launched Operation Swarmer in the south of Iraq's Salah Ad Din province to clear a suspected insurgent operating area northeast of Samarra, military officials reported. The operation began this morning with soldiers from the Iraqi army's 1st Brigade, 4th Division; the U.S. Army 101st Airborne Division's 3rd Brigade Combat Team; and the 101st Combat Aviation Brigade conducting a combined air and ground assault to isolate the objective area, officials said. Attack and assault aircraft provided aerial weapons support for the operation and also delivered troops from the Iraqi army's 4th Division; the "Rakkasans" from 1st and 3rd Battalions, 187th Infantry Regiment, of the U.S. Army; and the "Hunters" from 2nd Squadron, 9th Cavalry Regiment, U.S. Army, to "multiple objectives" according to a Multinational Force Iraq statement. Forces from Iraq's 2nd Commando Brigade then completed a ground infiltration to secure numerous structures in the area, officials said. More than 1,500 Iraqi and coalition troops, more than 200 tactical vehicles, and more than 50 aircraft participated in the operation, according to the MNF-I statement. Initial reports from the objective area indicate that a number of enemy weapons caches -- containing artillery shells, explosives, materials for making homemade bombs, and military uniforms -- have been captured. The operation is expected to continue for several days as a thorough search of the objective area is conducted, officials said. Operation Swarmer follows closely the completion of a combined Iraqi and coalition operation west of Samarra in early March that yielded substantial enemy weapons and equipment caches. The name Swarmer, the MNF-I statement explained, was derived from the name given to the largest peacetime airborne maneuvers ever conducted, in spring 1950 in North Carolina. Soon after this exercise, the 187th Infantry was selected to deploy to Korea as an airborne regimental combat team to provide Gen. Douglas MacArthur with an airborne capability.